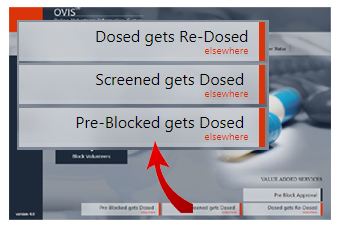 OVIS - the USFDA CFR Compliant SaaS for CROs, now offer Real Time updates for the study subject status. - a volunteer / subject gets Screened at a CRO and later gets Dosed at other CRO. - a volunteer / subject gets Dosed at a CRO and later gets Re-Dosed at other CRO. All the above scenario are dangerous when the subject returns to the original CRO. Urgent replacement is required. This can generate extra cost as well as effect the project time line. A critical issue. OVIS alerts will be sent as soon as the above scenarios happen. This offer enough time to the CROs to plan and avoid risk.